As a small business owner we wear many hats – from photography and editing to networking and account keeping, right down to website maintenance and blog presence. Not to mention being on Facebook, Twitter, Google+, Instagram, LinkedIn… oh and don’t forget Pinterest. Managing multiple social media platforms is hard work and I completely understand and relate to that overwhelming feeling. So here are four ways to avoid social media burnout. Nowadays, there are more than enough social media platforms available which is great, however business owners – especially those who own a small company – seem to think that they’ve either got to be everywhere or nowhere at all. This just isn’t true. The best thing to do is to develop a social media strategy. This means that you establish who your target audience is and which social platforms they are on. These are the only social media channels that you should be focusing on as they are going to give you the furthest reach and the biggest return on your investment and time in terms of potential customers. It’s better to select just a few social media channels and do them well than spread yourself thin on everything. It’s really beneficial to plan your social media content ahead. For some this means scheduling social media posts as they think of them, while for others it means sitting down and planning a week or month’s worth of social media posts in advance. Whatever you prefer, try to plan ahead as much as possible to save yourself stress and overwhelm further down the road. There are many tools such as Hootsuite, CoSchedule or Sprout Social that give you the ability to schedule social media posts in advance. It might be beneficial to sit down for half an hour, once or twice a week, to plan and schedule your content for the coming days. This should eliminate the need to constantly be on or checking social media. Of course it’s a good idea to quickly scan your platforms a couple of times a day for other content that may be of use or interest to your business, as well as checking comments and mentions but it shouldn’t control your life. For many of us we think that social media for business has to be boring. We think all we can talk about is our company and our industry – but that’s not true! As a business owner of course you always want to remain professional, but that doesn’t mean that you can’t inject some life and fun into your social presence. Being professional basically means just watching your language, spelling and grammar and not sharing inappropriate videos and content. Humans are curious creatures – we want to know who you are and what you’re doing! So it’s perfectly okay to be yourself as well as your business on social media. Personally, I would much rather engage with a business that seems to be run by an actual human being compared to canned responses and drab content. So share what’s happening in your world, things that you think are funny or anything you think would be of interest to your target audience. 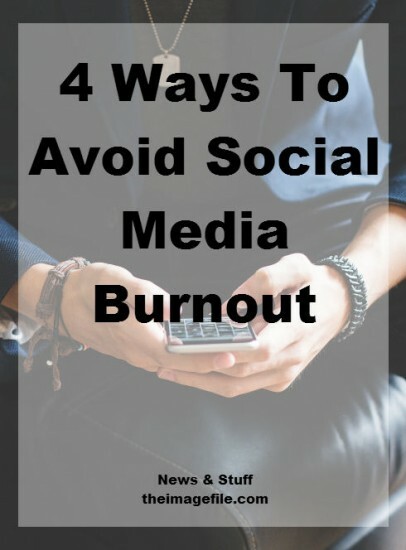 Generally the more your audience engages with YOU the less likely you are to experience a burnout. Once you’ve scheduled some posts for the next few days then take a step back and re-evaluate. Look at your goals and objectives and remind yourself why you’re doing all the hard work – remember to congratulate yourself over the little things as well as the big accomplishments. Also take some time away from the computer! Spend some time with your family, take your dogs for a walk, get outside, decorate the Christmas tree, bake a cake – whatever it is that you do to chill out, do that! How do you keep on top of your social media? How do you avoid getting burned out?